How Does a Sheriff's Sale Work? Banks, tax collectors and private litigants rely on sheriff's sales to collect mortgage debts, past-due taxes, utility bills and judgments. These sales also provide an opportunity for you to buy a place to live or an investment property at a reduced price, sometimes nearly half the value. If you decide to buy property at a sheriff's sale, you need to understand the sale procedures, your obligations as a bidder, and potential pitfalls that may keep your new home or investment from becoming reality. A sheriff’s sale does not happen without authorization by the court. In foreclosure proceedings, lenders or taxing authorities file lawsuits for a foreclosure order directing or allowing the sale. When a creditor obtains a judgment, the court will issue a directive, sometimes called a "writ of execution" or “real property levy,” to the sheriff to sell real property. In many states, the debtor has an opportunity to exempt the land before it can be sold to satisfy a judgment. How Does a Sheriff Sale Work in Michigan? Search your sheriff's office online listing of sales or your local newspaper’s classified section for advertisements of sheriff’s sales. These notices will identify the property being sold, the court proceeding name and case number, and the date, time and place of the sale. You will also see terms of the sale such as method of payment and whether the property is being sold “as is.” Depending on your state, the sale notice may also be posted on the property. The time period and frequency of advertisements vary by state or city. You are buying property “as is.“ The sheriff’s office does not warrant the condition of the property or whether there are other liens or claims against it. The sheriff may not have even seen the property. You will need to view the property on your own to determine its present condition and need for improvements. The court file identified in the advertisement will tell you the address if the advertisement does not. The owner does not have to let you on the property or inside buildings if you're trying to visit. 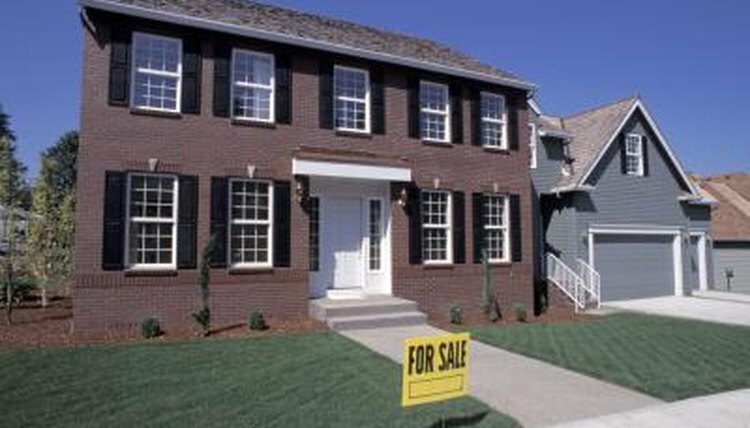 You may need a title search of the property to know in advance of the sale what liens or taxes you will have to satisfy. Most sheriff’s sales are public auctions. The auctioneer will not accept bids before the sale or sealed bids. You must announce your bid orally. Your auction will likely have a starting bid, such as $100 in New Jersey, $500 in Philadelphia, or an amount stated on the property listing. If you’re the high bidder, you must deposit a percentage of the price in cash, money order or certified check. In some states, you may have to pay the entire amount of the bid at the time of sale. The delinquent taxpayer, borrower or debtor may be able to redeem, or regain, the property -- even after the sale -- by paying the taxes plus interest and penalties due, or the balance of the mortgage. The right and time to redeem vary by state, county or municipality. For instance, New Jersey's redemption period is 10 days. For most sheriff sales in Michigan, the period is six months after the sale. Alabama law gives delinquent taxpayers three years to redeem. In some states, the judge can fix the redemption period in the order confirming or approving the sale. If the owner redeems, you will get back your bid or deposit, but not the money you put into improvements or repairs on the home. Once the sale is confirmed, you must pay any balance of the bid price. The amount of time you have varies by state. You will not get time beyond the deadline, even to get financing. If you don’t follow through on a sale, you will forfeit your bid deposit. In states such as Ohio, you may be held in contempt of court. You may be held responsible for losses and the sheriff’s resale expenses. To protect your interest in the property against other claims, pay off any senior liens on the property and record the deed you get from the sheriff. Raines, Christopher. "How Does a Sheriff's Sale Work?" , https://legalbeagle.com/4897660-sheriffs-sale-work.html. Accessed 21 April 2019. What Are the Foreclosure Laws in California?